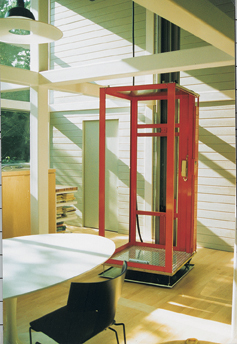 PRIVATE RESIDENCE ELEVATORS: From the most basic designs to custom luxury residential, we can do it all! 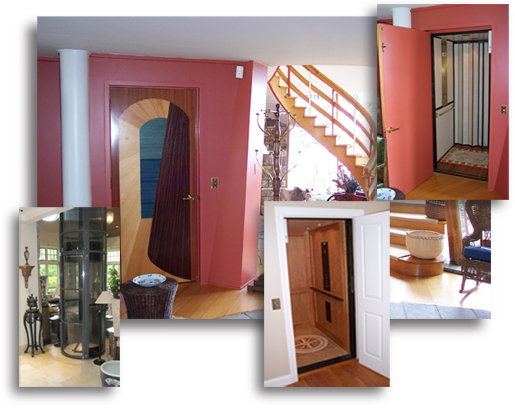 We’ve done custom hardwood & glass elevators, inclined elevators, and elevators without hoistways. With our many suppliers, we can usually find and customize a product to suit any unique situation. We have traditional roped hydraulic and winding drum machine elevators, and the latest machineroomless (MRL) home elevators with geared chain drive and gearless traction machines. The gearless machines provide the quietest and smoothest ride possible. We even have a pneumatic vacuum elevator, in which you travel between floors in a transparent polycarbonate tube. We like to call it the George Jetson 3000!